Hello! It’s been kind of a crazy week here. Our first day of co-op is in the books for this semester. I’m teaching knitting to middle schoolers! I was a little scared, because what if they just stared at me and I fumbled along awkwardly praying for the end of class bell to ring? But of course they were wonderful, and we were all sorry when the bell rang. In other news, my sweet little toddler has the flu or something like it (the flu test was negative, but the doctor was like, “Nah, she totally has the flu”). She seems much better today and has finally started eating again. 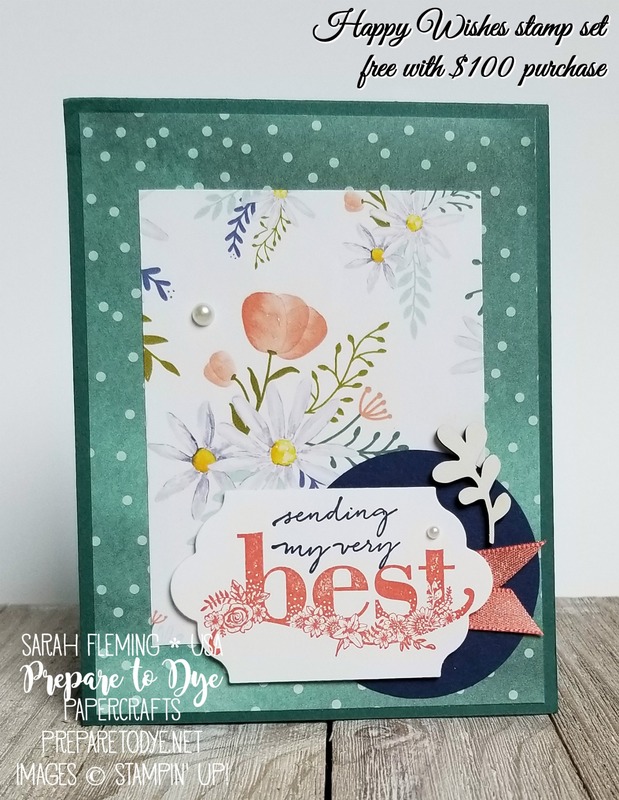 Today’s card is a quick and easy one featuring the Happy Wishes stamp set. 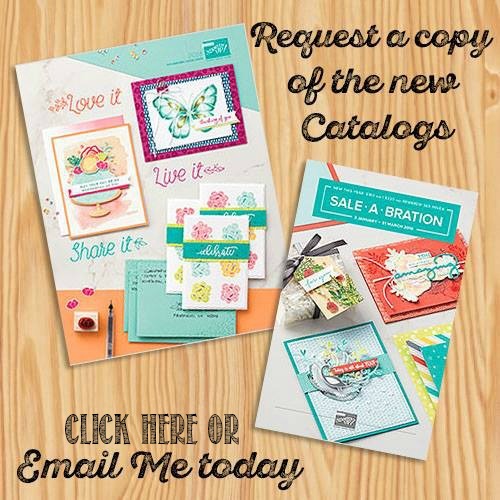 This gorgeous set is free with a $100 purchase during Sale-A-Bration. The paper is from the Delightful Daisy pack.